The Government of Canada unveiled its IP Strategy today, planning to invest $83.5 million over five years to help Canadian businesses understand, protect and access IP. The strategy aims to boost Canadian innovation and presence in the global technological market by enhancing IP awareness and savviness, introducing IP education and advice programs, offering strategic IP tools for growth, and implementing legislative amendments. The government will invest in IP awareness by funding IP legal clinics and a team of IP advisors who will work through existing programs to help the government’s program officers and recipients improve their IP literacy. 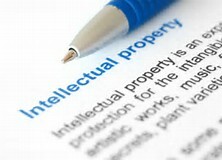 In addition, amendments will be made to IP laws to clarify acceptable practices and prevent misuses in relation to patents, copyrights and trademarks. 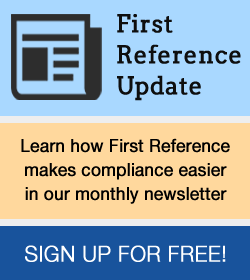 Minimum requirements for patent demand letters: Demand letters alleging infringement will have to include certain basic information (such as patent number and allegedly infringing product or activity). This is aimed at discouraging deceptive or vague demand letters often sent by non-practicing entities (“patent trolls”). Patent research exemption: Amendments will affirm that there is no infringement for experimentation relating to the invention claimed in a patent. This will likely be an expansion or clarification of the “experimental use” exception. Standard essential patents: Prospective licensees of standard essential patents (SEPs) will be able to rely on an SEP owner’s commitment to licence the patent on fair terms even if the patent owner changes. A SEP is a patent that covers a technology that must be used to work a technical standard, such as 3G or LTE used in wireless networks. The Standards Council of Canada will also work with Canadian companies to boost their participation in the standards-setting process, and to get Canadian innovations included in international standards. The government will also pilot a “Patent Collective” Canadian businesses can join through a membership model. Existing Patent Collectives such as LOT Network work by pooling patents owned by members and ensuring that, if those patents ever fall in the hands of a patent troll, they cannot be asserted against collective members. On copyrights, amended legislation will exclude settlement demands from Canada’s Notice and Notice regime. The regime allows copyright owners whose copyrights have been infringed online to send a notice to the alleged infringer’s ISP. The ISP is then required to forward the notice via email to the alleged infringer. The government notes that a small number of bad actors have been using the regime to send threatening demands to make settlement payments, which do not comply with the regime. On trademarks, legislation aimed at preventing “trademark squatting” will be implemented. Like patent trolls, trademark squatters do not use their trademarks, but rather attempt to extract licences from businesses seeking to use those marks. New rules will require owners to use the trademarks within a certain period of time before they can be enforced.